In the last year, I've challenged myself to make margin to read good words. 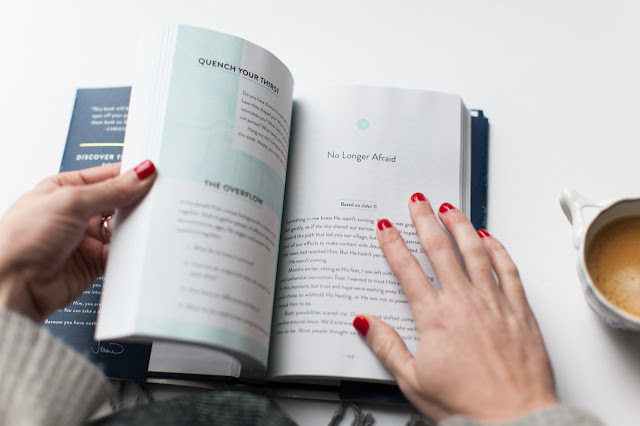 I've always made the excuse there's no time to read, but friends when we get intentional with our days there's plenty of time to commit to reading books. 1. The topic must be one which presses into my current season. 2. The author should be someone who compels me better myself/life in some way. Simple but intentional. Choose guidelines that fit your season and make margin for good words! 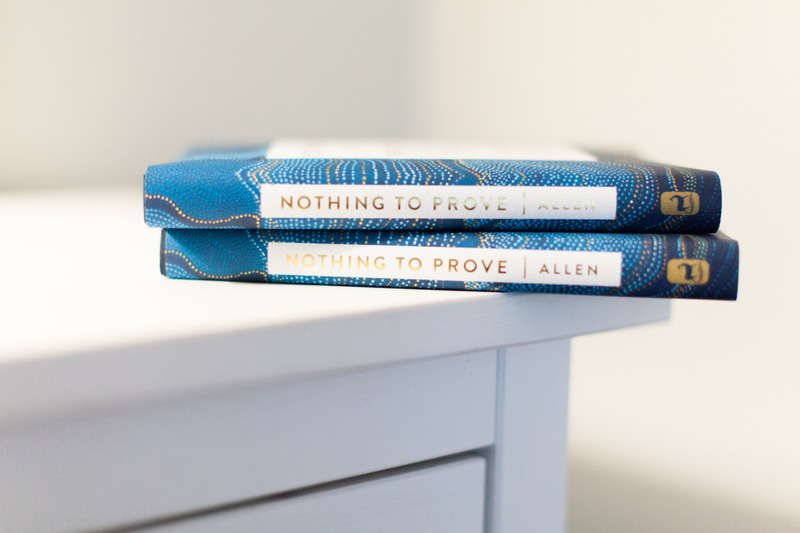 Earlier this year I had the opportunity to be apart of Jennie Allen's launch team for her Nothing to Prove book. 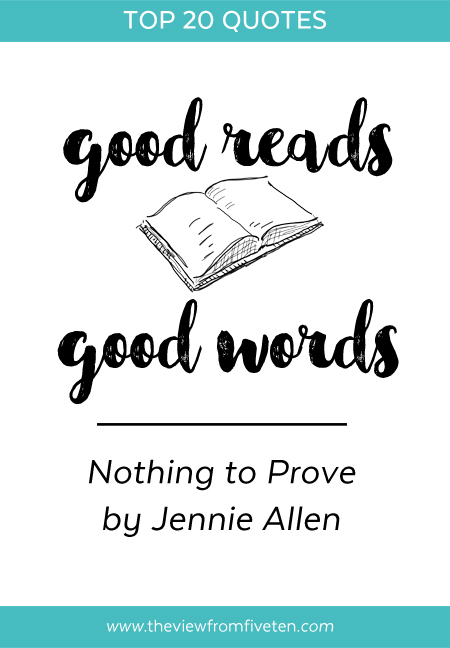 I read Jennie's book, Anything, in the Summer of 2016 and it shifted my heart. So adding this book to my 2017 book list was an easy decision! As I make my way through my 2017 books, I'll be sharing my favorite takeaways. Here's the top 20 from Nothing to Prove. Confession: I couldn't narrow it down to 20; you get 29 for this one! "We've been deceived by the lies of an enemy who knows exactly how to twist our thirst to his purposes. And we desperately need to open our eyes to his perverse tactics." "But now many of you are awake. You are in the Word and on your knees. God is moving through you, and you are getting dangerous. You are free and leading other people to freedom. The old lies are no longer adequate." "The enemy promises water, but every time we go to his wells, they are empty." "God is not after great performances or great movements. He is after us! God already knows we are not enough, but He's not asking us to be." "God is not surprised by our failures and disappointments and baggage. They are actually reminders of our need for God. He will use whatever means possible just to get close to you and to be with you." "What if we stopped doing things for God and started doing them with God? When we make that shift, we will be different. Because when you are with Him, you see Him for who He is and He changes you. This is a journey into greater faith. Believing God and who He says He is and who He says we are. it is a journey into a life not of trying so hard. It is a road to enjoying our abundant God rather than working so hard for Him." "Jesus didn't come desperately needing something from us, He came to be with us." "When we see ourselves the way God sees us, we don't have to strive. Being near to God doesn't produce pressure or legalism; it produces worship"
"The mundane parts of life aren't the enemy to God's movement; they are the soil for it." 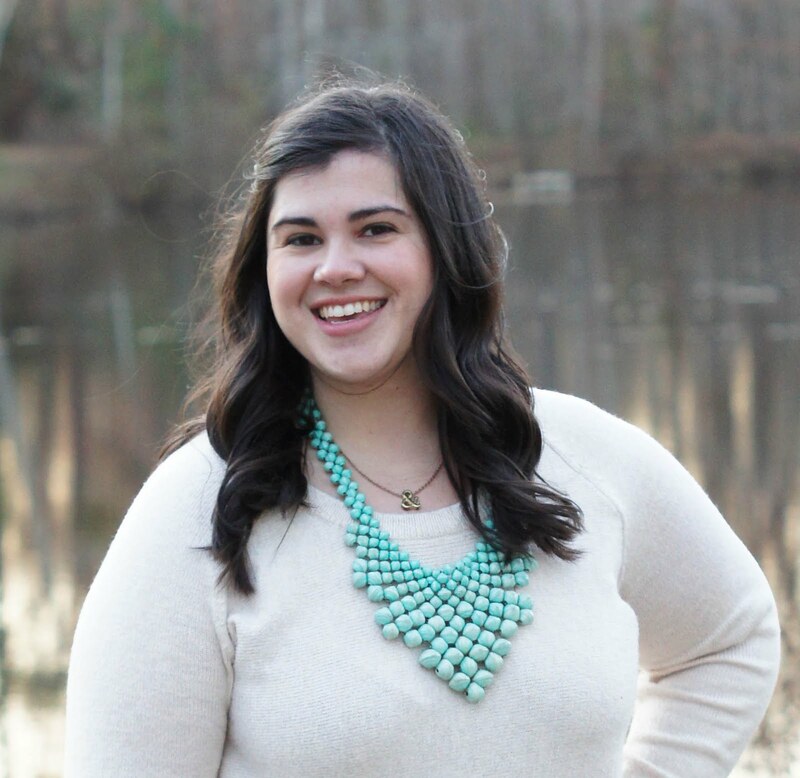 "I want to be full of Jesus to the point He is pouring out of me." "We have nothing to prove because we're living out of His abundance and letting it spill over into all the thirsty lives around us. The point is this: to know God and to give Him away." "He is enough so we don't have to be." "The nearness of Jesus is enough to infuse joy in the midst of everyday experiences." "We want to do things for God without spending time with God. It is an epidemic in the church, and we wonder why we are so empty and unhappy. God built us for himself, and all our attempts to manage life apart from intimacy with Him only further expose our ache for Him." "When we hide, we diminish ourselves, we diminish our worth, we diminish our belief in God." "Being known is what happens when you realize you are already known, and because of Jesus, you are already accepted. You don't have to keep searching for what you already have. The living water that eternally quenches our souls is filling us up." "Because God is enough and has enough, we can rest." "Seeing need and knowing only God can meet it causes us to run full of confidence, which means we can rest rather than strive." "Our confidence comes from trusting God can do anything, then stepping back and letting Him." "But Jesus lives on the other side of our comfort zones. And as we step out of the boxes we have built, our hearts wake up. The Spirit of God stirs us toward a wild uncontrolled adventure, even if that plays out in the mundane parts of our lives." "Emotions are designed by God to point to an ache for Him and for heaven. Emotions are compasses, not destinations." "Jesus pours His streams of hope into our suffering, and I believe we'll find abundance and life there." "When you have nothing to protect and nothing to prove, God moves through you. When you have nothing to protect and nothing to prove, you know freedom." "Our inclinations to strive and prove ourselves point to our need to be rescued. Our greatest needs begin to be filled when we admit we have a great needs and turn to the only One able to meet them." "We are not defined by our worst or our best: we are defined by our God." "The degree to which we believe and embrace our identity as a Spirit-filled child of God will be the degree to which His light shines through us. We are God's and He is ours. He is in us and through us and with us. That is our identity. And that changes everything." "When we aren't secure in our identity, our actions toward others become more about pride and performance than service and ministry." "We do not change the world with might and power and creative strategies. We watch God change the world when we pray and abide and believe." "Make it your goal to love and know Jesus as much as humanly possible and ministry will happen."